Home » Blog » HVAC Q&A: How Do I Heat the Colder Rooms in My House? If you’ve got an older home or an addition or a room with drafty windows, you may be experiencing a similar issue. Jim is probably right about his addition not being properly insulated, but that’s a project for warmer weather. If you have a room in your home that is not getting enough heat, think about purchasing an electric portable heater. Electric portable heaters plug into a wall outlet, allowing you to boost the temperature in any room that is not getting enough heat without making the rest of your home too hot. What type of heat do you need? Electric portable heaters can be grouped into two categories based on the way they distribute heat: convection and radiant. Convection heaters use either a heat transfer liquid like oil or an electric heating coil system to heat up the air around the unit, which in turn heats up the room. They can either be stationary units, like radiators, or actively distribute the heated air via fans, like forced air ceramic heaters or tower fan heaters. 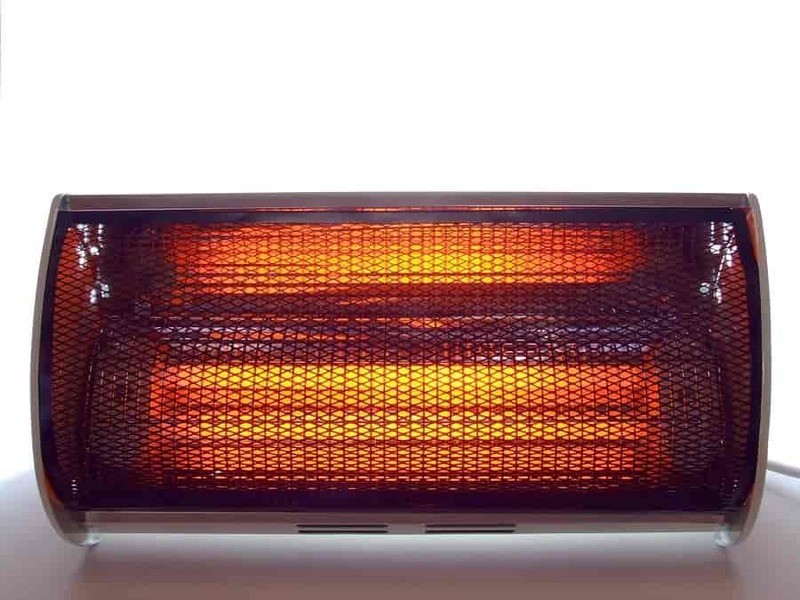 Radiant heaters generate heat by emitting infrared radiation in the direction they are pointing. Much like the sun’s rays, these infrared rays heat up whatever or whomever is in their path, making them ideal for short-term, focused heating. These units are usually smaller and have reflective surfaces to direct the infrared rays created by the heat source. 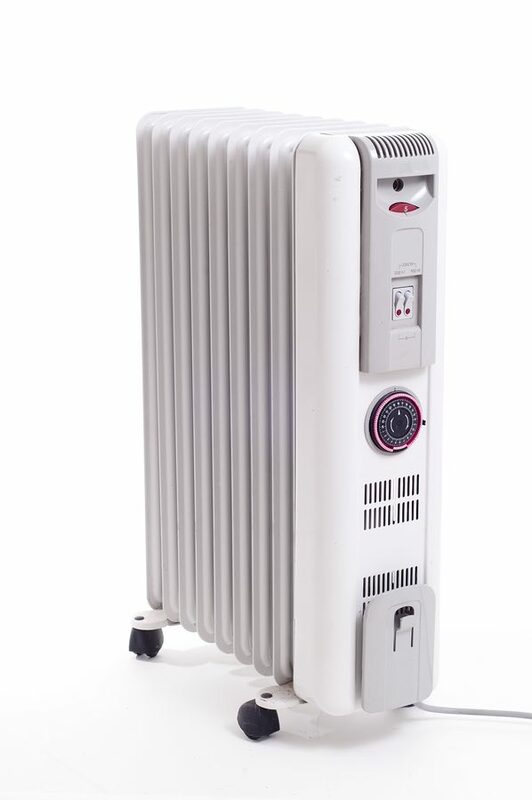 The size and type of room which needs heat will help you decide which type of electric portable heater is best for you. Because a convection heater relies on air circulation to heat the room, it is most effective when used in smaller rooms with closed doors. The draftier the room, the less likely convection heaters are to be effective. Radiant heat, on the other hand, is not lost when a room is drafty. Since a radiant heater creates its own heat, it can be very effective in large, drafty rooms. This also makes a radiant heater a great option for rooms with poor insulation. For optimum energy efficiency, look for a convection or radiant heater that fits the room you need to heat. In most cases, the heater’s output will be clearly marked on its packaging. Whether you choose a convection or radiant heater, look for features that will keep you and your family comfortable and safe, without increasing your utility bills. 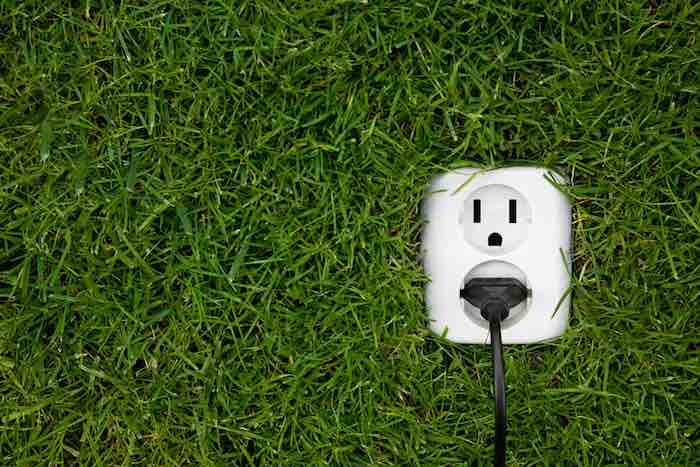 Auto shut-off keeps your family safe by automatically turning the unit off if it falls over, reducing the chances of your electric portable heater causing a fire. Timers allow you to control how long your electric portable heater runs. They allow you to “set it and forget it” without worrying about it running when it is not needed. Temperature/airflow control settings allow you to change how hot your system gets and how much warm air the system distributes. High, medium, and low settings are great, but look for units with a built-in thermostat so you can set the exact temperature you want. Electric portable heaters can be a godsend for homeowners who just can’t seem to stay warm in certain rooms. Now that you know more about the different types and where to use them, you can solve all of your winter heating issues. What type of electric portable heater do you use? Are you a fan of radiant or convection heaters? Let us know in the comments below!